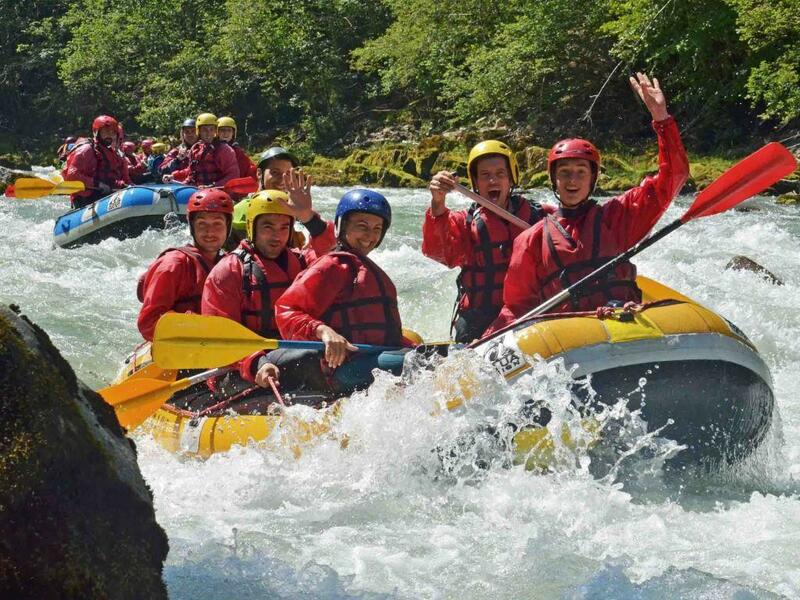 An once-in-a-lifetime opportunity to safely discover the world of rivers on unsinkable and very stable boats. 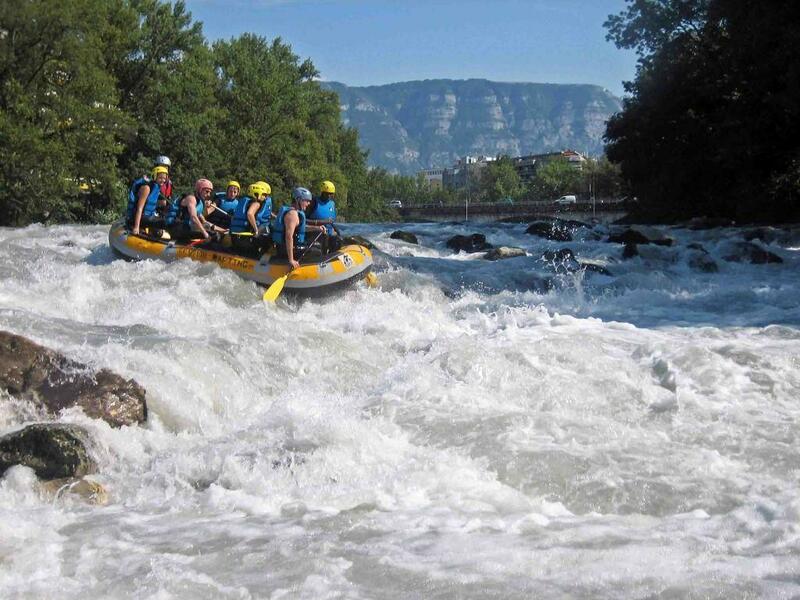 This activity will allow you to enjoy the pleasure of the white-water from the first knocks of paddle by following the instructions of the guide seated at the back of the boat. 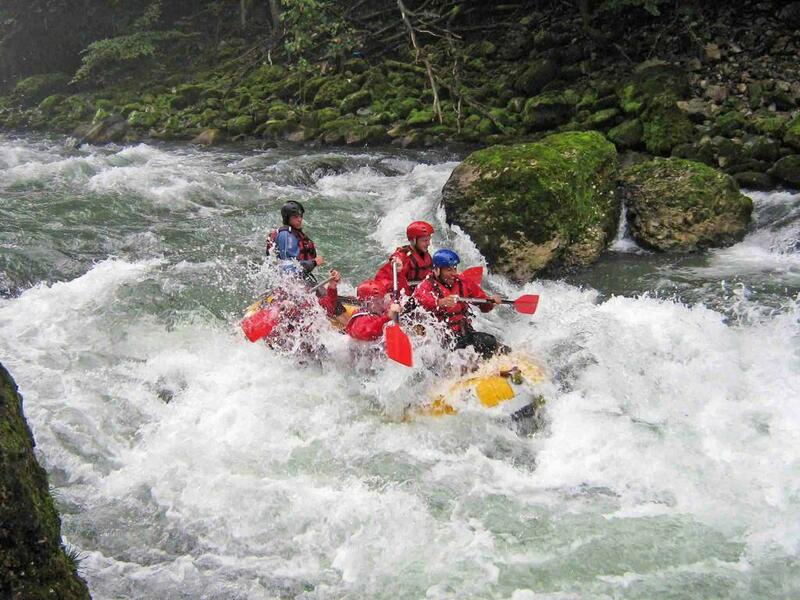 Whether you are a first-timer, family or high adventure enthusiast, you’ll find your perfect white water adventure here with us! A nice, refreshing and exotic river with waterfalls, rapids and quiet areas to jump in the water or simply enjoy the nature. A unique experience in the centre of Geneva and accessible to everyone. Ideal for family, friends, company trips and school outings. 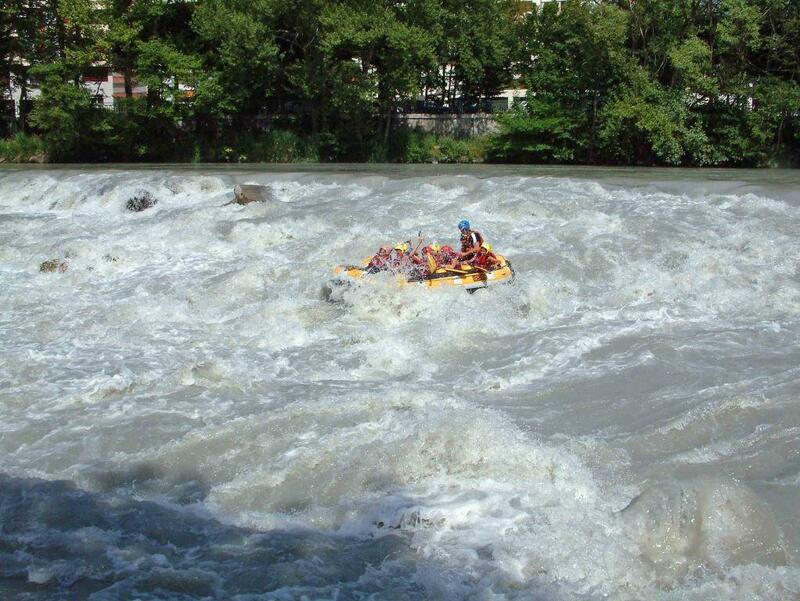 A famous white water river nearby Geneva. 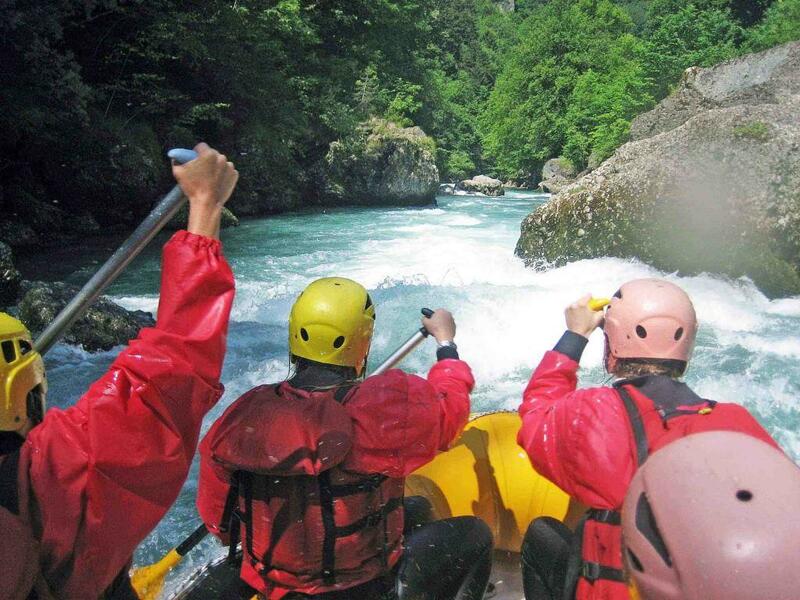 A series of sportive rapids, splashing waves and unspoiled landscapes. During the season, the water is supplied. The river is composed of few sections, of different difficulties, that your guide will chose according to your capacities. Winding with continuous constricted rapids, this crystal-blue river runs down the gorge between big boulders creating eddies, holes and breaking waves, some suitable for surfing. No experience required. Payment: The payment has to be made in cash only on the day. Equipment: You are kindly requested to bring a swimsuit and a towel. The rest of the equipment (lifejacket, helmet, wetsuit, etc.) 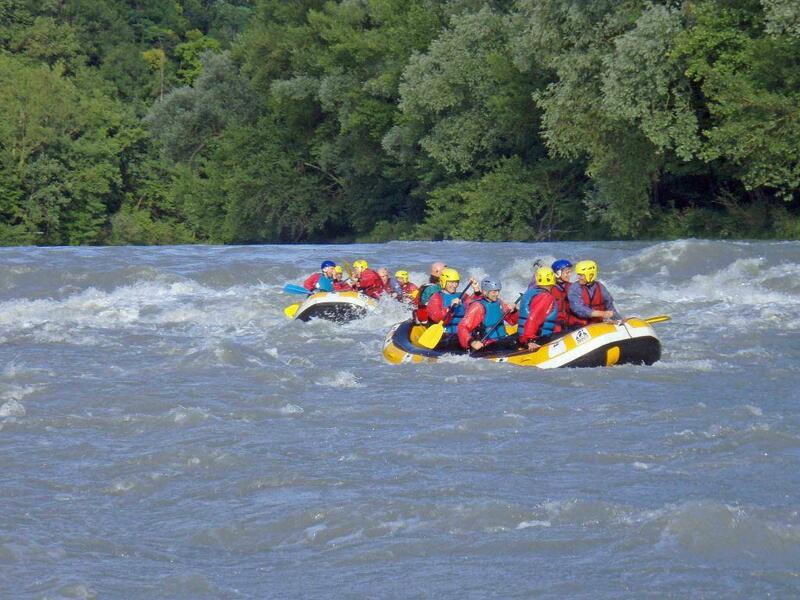 is provided by Rafting.ch.